Lady Bunny Blog: MIND-BLOWING STATISTICS IF ACCURATE! 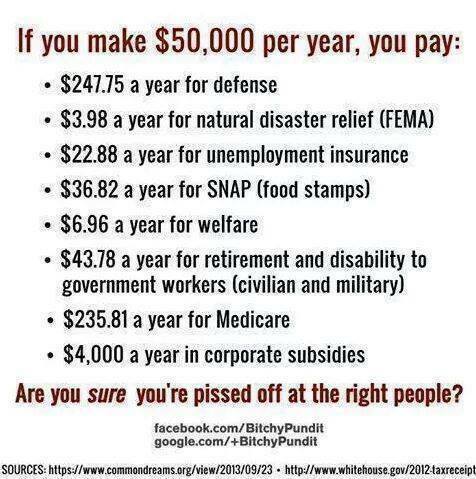 CEOs are making record profits, yet most of our tax dollars go to subsidizing huge corporations. Defense gets the second pay-out, then medicare. Some of these corporations pay $0 in taxes and bribe our politicians to keep it that way. It's a disgrace and both parties keep this system in place. And you won't hear it much on the news because these corporations advertise on those channels.